Once Achilles tendonitis treatment is done and you get back home for Achilles tendon recovery, there are certain things that you should take care of, which might otherwise prove cumbersome. From the way you walk to the way your house is being maintained, even the smallest details could prove to be of great importance during Achilles tendon recovery. 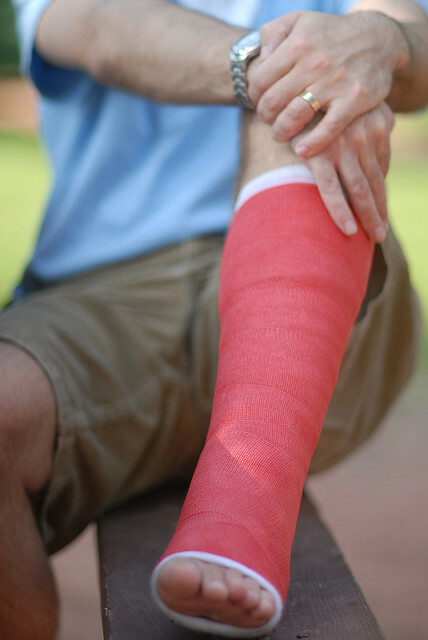 Although the hospital staff will fill you in on what you need to do and what you need to avoid, it’s best hiring a nurse for the initial days of ruptured Achilles tendon recovery. It is a misconception that you need to use your armpit to boost yourself up. The top portion of the crutch must be well below the armpit and the forearms will be doing most of the pushing. The arms should be bent at a small angle so that the weight is transmitted uniformly across the legs and arms. The arms should always have a tight grip on the hold of the crutches. Once you have got the hang of standing and applying weight on the crutch, moving is just a stone’s throw away. To move, push your body ahead and extend the uninjured leg. Instead of using the injured leg, just use the crutches to make the next step. Leaning the body slightly forward can give the whole thing a smooth look. The more difficult part is to move up the staircase or down. It is similar to moving but the leaning forward part holds more importance here. Lean forward and quickly put the good leg ahead and walk normally using the crutches. Be careful and always lean in forward before taking a step. To move downstairs, place the crutches on the step below followed immediately by the good leg. All there is to do now is to repeat the procedure. Since climbing the stairs is always risky, it is better to do as little of that as possible. If you are trying it out for the first time, make sure that a friend or someone is close to you, just in case things go bad. After a few weeks of using the crutch, the upper body will appear well toned because of its frequent use. Another important place to take care is in the bathroom. The bathroom is by nature, a wet and slippery place. Here are a few things you can do to keep yourself safe. It is a good thing if you have a small bathroom as all that you need is a chair and a stool. The chair can be placed equidistant to the sink, the toilet and the bathtub. This way you can move around by sitting on the chair or simply kneeling on it. Place a stool in the bathtub and be careful when you are moving over to it as the edges can be generally wet. Always ensure that the bathroom is dry. Your doctor will give you advice on how to take care during Achilles tendon surgery recovery. Doctors generally provide an Achilles tendon stretches and exercise routine for long term recovery. In case you’re not sure about the entire Achilles tendon recovery phase, you can opt for the services of a nurse. This entry was posted in Achilles Tendon Rupture and tagged achilles tendon crutches, achilles tendon recovery, achilles tendon rupture recovery, achilles tendon surgery recovery, achilles tendonitis recovery phase, long term achilles tendon, ruptured achilles tendon recovery, tips for achilles tendon recovery by Zipheal Editorial Staff. Bookmark the permalink.